Dimmitt Insurance was a proud sponsor of this year’s Festival of Speed. 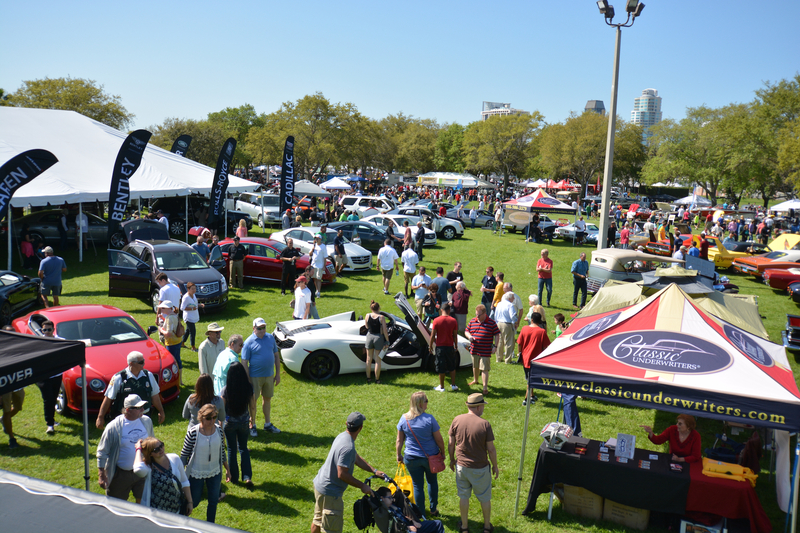 On the weekend of April 7th, Festivals of Speed was held in St. Petersburg, Florida. The cocktail reception was Friday night and featured delicious food, expensive alcohol, and unique cigars. Guest toured classic cars at the Tampa Automobile Museum. The live music and elegant aurora made for an unforgettable evening. On Sunday, the 12th Annual Festival of Speed display was held at Vinoy Park in downtown St. Pete. Dimmitt Insurance teamed up with Dimmitt Automotive Group to provide the best experience for visitors. Friend’s were invited to enjoy a first class brunch and mingle with our team members. Dimmitt Insurance would like to thank everyone who was involved with Festival of Speed and everyone who stopped by to say hello.